Wet rot is a term used to describe timbers that are rotting due to high moisture levels. Wet rot can occur for a number of reasons, a leaky roof, a leaking shower, burst pipes, or even a washing machine that's not been connected up correctly. It can also be caused through failure of the damp proof course (DPC) in the brickwork where the moisture then reaches the ends of floor joists. Localised fungus growing on timber. Timber will feel soft and spongy and may look darker. Once dried, timber may become crumbly and break apart. Paint can be seen lifting and flaking from the wood. A strong smell of damp in the property. Movement in floors as the joist ends rot away from the wall. To rememedy the problems the first stage is to stop the ingress of moisture into the building, this could be as simple as repairing a leaking pipe or more in depth where a course of treatment to walls and brickwork may be required. With a small outbreak, infected timber needs to be removed or cut away and a new piece of treated timber joined to what remains. In more severe cases where the timber has lost most of it's strength, it may be necessary to replace the whole timber with new treated timber. However, when wet rot occurs in structural timbers, eg; roof trusses or floor joists, building work may have to be undertaken. Dry rot refers to outbreaks of wood decay by the fungus Serpula lacrymans. Dry rot can be difficult to detect early as it usually spreads out of sight, under floors, behind skirting boards or wall panels. It can cause major structural damage and needs to be addresses very quickly. Dry rot spreads agressively unlike wet rot. 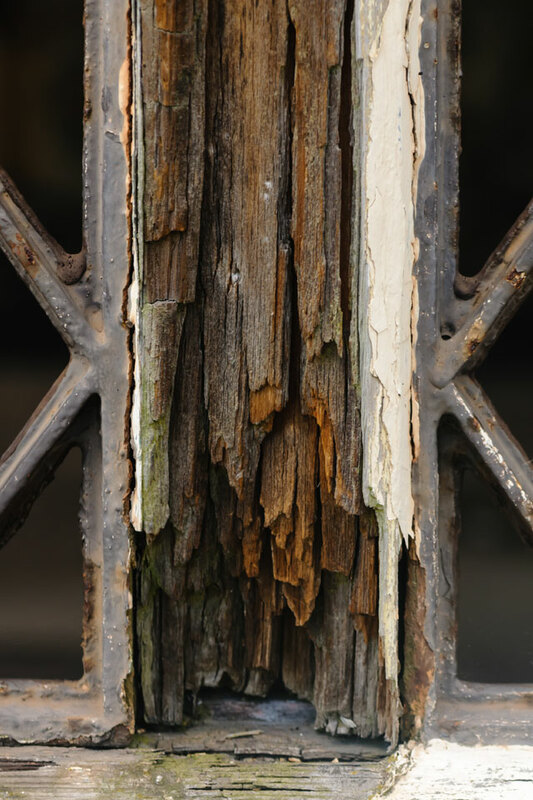 Dry rot does need moisture to grow, which could be caused by a drip from a leaky pipe, rain water from the roof, or damaged gutters or down pipes. A very strong smell of mushrooms. Cubing to wood similar to that found in burnt wood but without the blackening. Large patches of orange / brown dust which are the spors of the dry rot fungus. Fine tendrals can be seen travelling up walls. Mushroom like fruiting bodies appear on timbers. Treating the problem needs to addressed in stages, firstly, removing the source of moisture that is allowing the dry rot to grow. 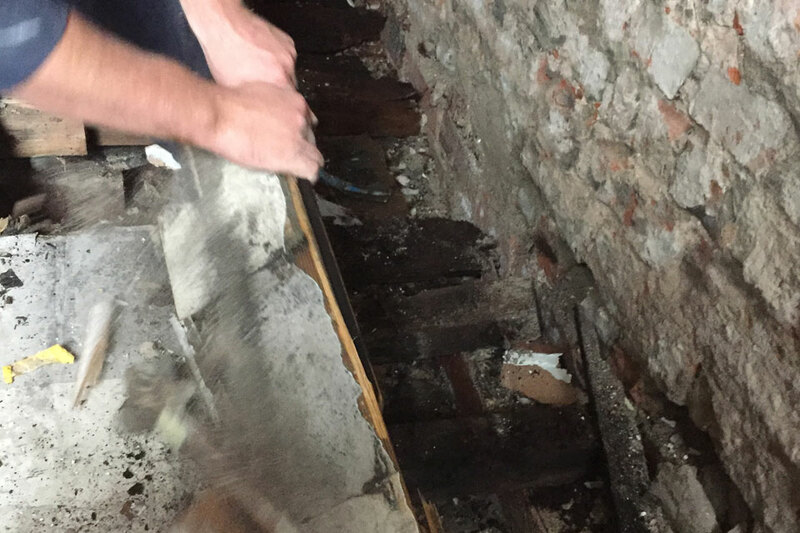 A minor outbreak can then be treated with fungicide, however, it is common for dry rot to spread before it is noticed , unfortunately requiring the removal and replacement of plaster, applying a fungicide and the replacement of timbers that are damaged.